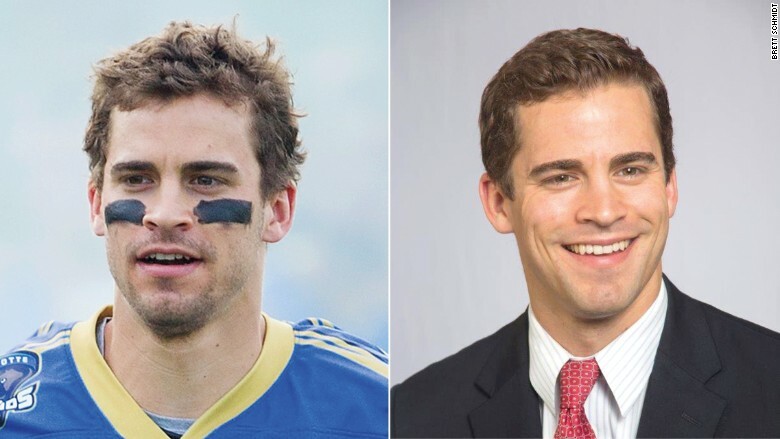 Brett Schmidt is a professional lacrosse player but his day job is in finance. For most male athletes, making it in professional sports means big money. Then there's Major League Lacrosse, where rookies make about $7,000. The average for all players falls somewhere between $10,000 and $20,000. Major League Lacrosse was founded in 1999, the first pro league for field lacrosse. The league consists of nine teams and the season runs from April to August. Professional lacrosse has been slow to catch on, despite its increasing popularity at the amateur level. Last year over two million people played lacrosse in the U.S. -- an 11% increase. He works full time as a financial adviser at BB&T Wealth. Schmidt didn't want to give his salary, but financial advisers earn about $75,000 a year according to government data. As a lacrosse player, he makes only $10,000. "It's not like we're negotiating for our annual salary as pros," Schmidt said. "It's more a summer part-time job. Guys are just grateful to be able to play in a league, but the money isn't something you truly rely on." 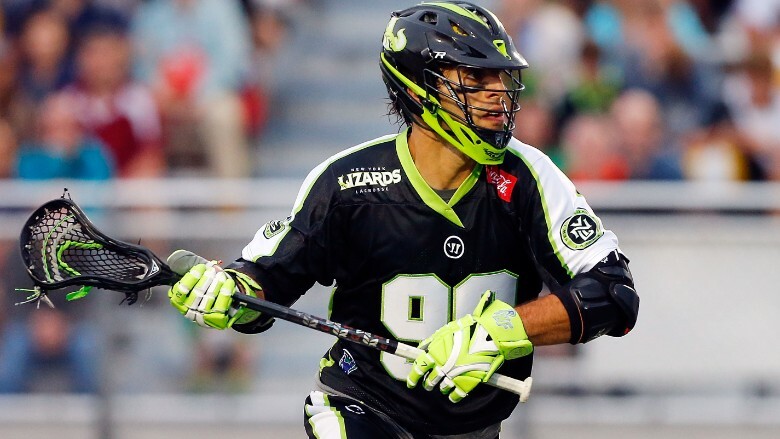 Paul Rabil, Major League Lacrosse's 2015 MVP, is trying to make lacrosse a full-time career. No one has been more successful at this then Paul Rabil. At 29, Rabil is one of the league's biggest stars and was this year's championship MVP. That distinction, along with the fact that his team made the playoffs, means more money. He wouldn't say what his salary is, but it is higher than the league average. Still he must supplement it with outside deals. Rabil is an entrepreneur and an athlete. He even has a subscription service called the "Paul Rabil Experience," where he serves as a digital coach to aspiring laxers. Scott Ratliff (left) supplements his pro salary by coaching young lacrosse players. 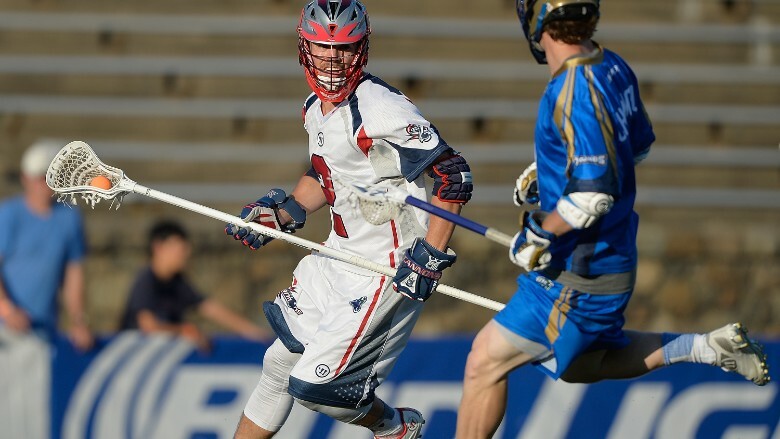 Somewhere between Schmidt and Rabil is Scott Ratliff, a midfielder in his third year with the Boston Cannons. Ratliff has a full-time lacrosse career, thanks to his job as a coach at LB3 Lacrosse, which operates camps and clinics and has its own youth club team. While he hopes to emulate Rabil's success, Ratliff loves coaching. "If you're not in it full-time, it's harder and harder to remain a professional player," Ratliff said. "The dream would be to live off sponsorships but I love coaching so even if I was making a bunch of money, I'd probably still be involved in that." Getting to games, which are played on the weekend, can be tough. Ratliff, for instance, lives in Atlanta but plays in Boston. Teams carry between 21 and 26 players on their active rosters. The league covers the cost of transportation and meals for the 21 players who travel, but only the 19 who make a game's active roster get paid. Ratliff said some coaches make decisions early about who will be on the active roster. But sometimes players travel without knowing whether they'll play -- and get paid. Ultimately, for both career players and part-time pros, it all adds up to a lot of hustling.